Sports Editor, Cody McClure, has been with TNJN since January 2014. He is passionate about SEC football and basketball. To him, there's nothing better in life than game day in Neyland Stadium. Cody covers the SEC for Athlon Sports. 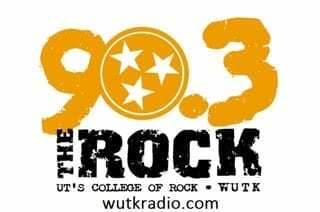 Additionally, he co-hosts Rock Solid Sports for WUTK 90.3 FM on Fridays from 7-8 p.m. ET. Cody is also interning at Sports Radio WNML working under Jimmy Hyams. In his spare time, he plays golf, travels the country, and plays guitar, badly. Follow him on Twitter @CodyMcClureCFB. There aren’t many better defensive teams in the NCAA Tournament than Syracuse. Now that the Orange have made an improbable run to the Final Four, can they win it all? For our last club of the week, sports editor, Cody McClure profiles the women’s volleyball club at UT. The group is passionate about building friendships through their love of volleyball. The NCAA Tournament gets rolling on Thursday. Sports editor Cody McClure breaks down all the contenders and pretenders in the South Region. After a tumultuous 2015-16 season, the Lady Vols were seeded lower than ever before in the NCAA Tournament. In his column, “I’ll Write What You’re Thinking,” sports editor Cody McClure gives his take on diversity. Tennessee needed a win over Arkansas on Saturday night to get to .500 on the season, but the Razorbacks shot lights out in the second half.